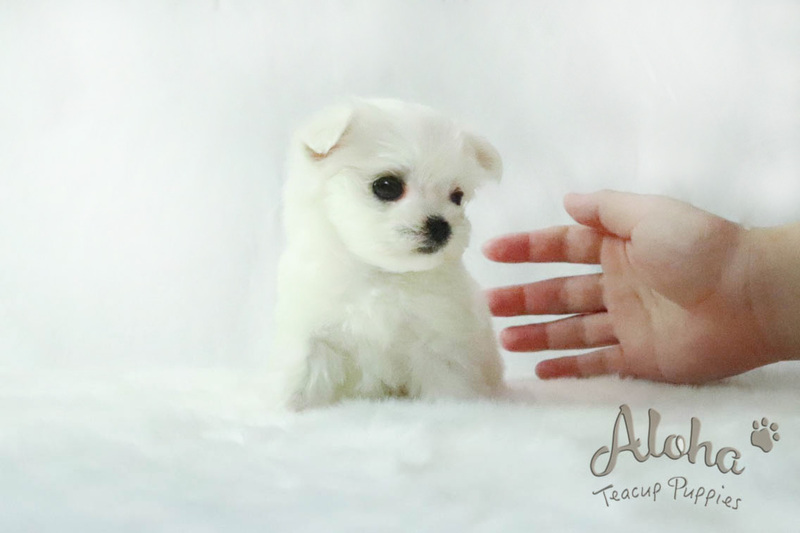 if you're looking for a cute little Maltese. but a fresh summer has come to Aloha. 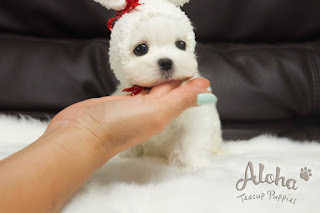 I'm going to show you today is Prince Leo, a tiny little teacup. Leo is just over three months old. You should never worry about his health because he is too young! We're going to take care of the dogs you're going to take all year. We health guarantee 365 days against contagious diseases. I want you to see Leo today. Let me show you a cute little face. It has a mysterious scent. he boasts white and smooth fur without a single color. His nose is also black. you can raise him without any health concerns. I'm looking for people who will raise him beautifully with love. but he seems to be a little annoying these days. We always put size and health first. Why don't you meet your lovely Leo with your new family?